Larry Dignan for ZDNet: 3D Systems rolled out a series of systems, software and services aimed at targeting industries. Going vertical is key to the company's turnaround hopes. Andy Rosen for The Boston Globe: The company said the amount represents the largest private haul for any 3D printing company focused on metal. Desktop Metal has now raised $212 million since its launch in 2015. 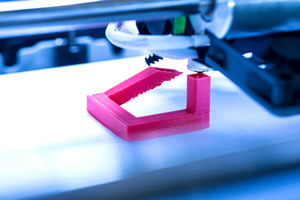 From Motif Investing: Some analysts believe HPs inroads into the 3D printing space made buyers more hesitant to purchase 3D printers in order to see how the technology evolves. While HP will get far more revenue from sales of its traditional 2D printers and PCs, it could become a major player in the 3D printing world in the near future.